It’s a great time to make resolutions or, what I prefer to call them – Intentions. Intentions seem to have more staying power. 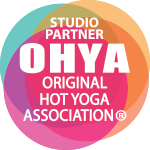 Whatever you choose, I hope that this is the year that you, and those in your life, will choose to practice Original 26 and 2 Hot Yoga, to relieve pain and stress, and to set yourself on a path of full body health and healing. I wish more people realized that it is within their power to achieve better health without fancy diets or gimmicks, by stepping into that hot room, doing the best they can, and trying the right way. There is one thing that rings true for me. My yoga practice continues to be the foundation upon which all my physical and emotional health begins. It is hard to watch so many people around me falling apart but not able to see how much they would benefit from a regular Hot Yoga practice. When I was 28, I went to a fancy orthopedic practice due to terrible arthritis in my hip (from a break at 13). I was told that I needed a hip replacement in the next 5 years, and I was given 3 prescription drugs. I knew there had to be another way. I threw those drugs in the trash and started 26 and 2 hot yoga. It was the best decision I ever made, and I derive benefits to this day! Many people are given pain meds when they go to the doctor because it is easy for the doctor. When I see stories on 60 minutes or VICE about Opioid addiction, I am horrified to see that the addiction usually started with a prescription for pain, often from teen injuries. In addition to addiction, pain meds can also lead to other problems. Even more poignant, when you take only pain meds and don’t move your body, more problems tend to arise. I think most humans are fully aware that you will be healthier if you “exercise and eat right.” But that is so generalized and does not dial in to true health. The cost of healthcare continues to rise, and our system is more about sick care than healthcare. I heard an interview recently on NPR discussing why more doctors did not prescribe or promote yoga or physical therapy, as the doctors knew it was a better course than pain meds. The doctor explained that it was easier and on his time and easier to get paid by insurance in a 5 minute drug consult, than spending 30 minutes diving deeper talking to a patient to see if yoga or physical therapy was an appropriate next step. That is our healthcare system today. My hope and intention for 2018 is that more and more people will trust themselves, no matter how hard and uncomfortable it may be, and that they will take a leap of faith and try an original hot yoga class. It’s not easy, but it is simple, and they’ll be glad they did. Let me finish by saying that there are times when you may need to take pain meds. (I certainly had to, after my C-sections and hip replacement, but I went off them ASAP!) I am not trying to diagnose or tell anyone what is best for them. That is up to you. But my hope is that our society will choose movement over pain meds, whenever possible, and that people will stop being so scared – and sometimes so lazy – to try something new that may take longer than the ease of taking a pill, but may improve not just a certain injury but also add to whole body health. And, what’s better than that?